George Jones was the quintessential American country singer-songwriter whose his powerful, distinctive voice and songwriting skills made him one of the most celebrated performers in country music history. Jones had more than 150 hits hit songs despite drug and alcohol addictions during his five decades long career. He also collaborated with other artists and performers. Born “George Glenn Jones” in Saratoga, Texas in 1931 into a large, musical family, his father worked in the shipyards and played harmonica and guitar. Jones’ mother, Clara, also played piano in the Pentecostal Church on Sundays. Jones started listening to country music from an early age and started busking on street corners and stores at the age of 12. He cites Hank Williams as his most important musical influence. George Jones ran away from his home to Jasper, Texas in 1942, at the age of 16. He started performing on the KRIC and KTRM radio stations and, after a brief army stint, performed in San Francisco nightclubs and bars. Jones returned to his home in Beaumont in 1953 and signed a record deal with Starday Records. He released four singles with the label by the end of 1954. Jones rose to prominence in 1955 with the release of “Why Baby Why”. He moved to Mercury Records and released a series of chart-topping singles from 1957 to 1962, including “White Lightning”, “Window Up Above”, and “The Race Is On”. Jones’ collaborations with his wife, Tammy Wynette, proved to be massively successful and their duets, such as “The Grand Tour” and “We Can Make It”, sold very well. After their 1975 divorce, he continued his success with hit records, including the classic “He Stopped Loving Her Today”. Jones was the high priest of the traditionalist country music during the 1980s’ and ’90s. He obtained much applause in his lifetime, and was greatly praised by his contemporaries and later musicians such as Bob Dylan, Gram Parsons, Mick Jagger and Leonard Cohen. 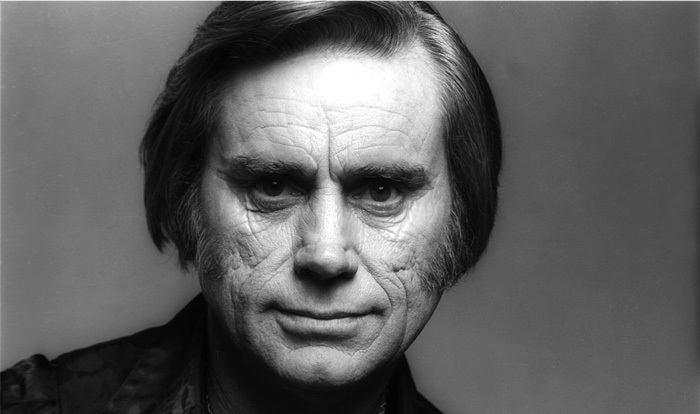 George Jones earned numerous awards and accolades in his lifetime, and has been posthumously awarded many more, including four Academy of Country Music Awards, two Grammys, several Country Music Association Awards, and the Kennedy Center Honors. He was inducted into the Country Music Hall of Fame in 1992. George Jones was married four times: to Dorothy Bonvillion (1950-1951), Shirley Ann Corley (1954-1968), Tammy Wynette (1969-1975), and Nancy Sepulvado (1983-2013). He had four children; two sons and two daughters.